Homeowners with delinquent taxes could soon lose their properties in an auction by the Cook County Treasurer’s office next month, but the treasurer says many homeowners have no idea their home is at risk. Katie Kim reports. 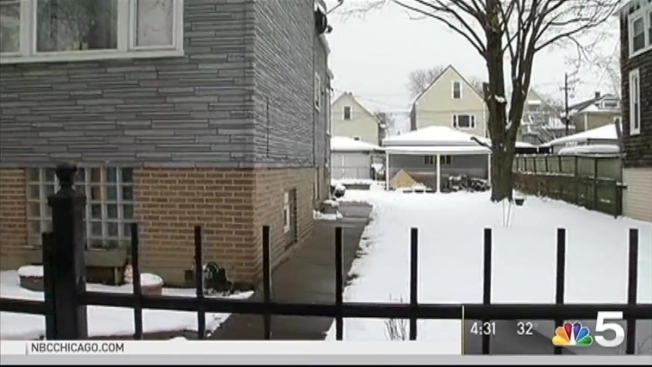 Homeowners with delinquent taxes could soon lose their properties in an auction by the Cook County Treasurer’s office next month, but the treasurer says many homeowners have no idea their home is at risk. The auction is part of a law that requires Cook County Treasurer Maria Pappas to put delinquent taxes up for sale. The auction is happening on April 3 and if homeowners don’t pay up by then, their property is at risk. “This is due or die,” Pappas told NBC 5, emphasizing that the situation is urgent. Unpaid real estate taxes on tens of thousands of properties are scheduled to hit the auction block. “You can look at the whole list, you can see if it’s your neighbor, you can see if it’s a senior citizen, you can see if it’s a family member,” Pappas said. In total, the Cook County Treasurer's Office said more than $186 million in delinquent taxes are due. Currently, 48,000 properties are at risk. Of those, 6,400 taxpayers are particularly vulnerable because they never received notice. Pappas said bills and seven subsequent notices to those addresses were returned by the U.S. Postal Service. Pappas said 104 vulnerable owners are senior citizens. “What's important for us is to reach the 7,000 who don't know right now that they owe money,” she said. After taxes are sold, the property owner has about two and a half years to repay taxes plus fees. After that point, according to the Treasurer's Office, the person who purchased the taxes at auction can go to court to obtain the deed. Joyce Thomas said a tough year of personal issues caused her to fall behind on the $850 she owes. “This is the first time I’ve ever been behind on my taxes,” she told NBC 5. Thomas said she plans to pay up before the action to make sure she doesn’t lose her home. Similarly, Adrian Davis, of Markham, made good on his taxes Wednesday. To check and see if your house is on the list, homeowners can look up their property index number here. They can also call or visit the Cook County Treasurer’s office at (312) 443-5100, located at 118 North Clark St. in Chicago.